Sharing servers can be as easy as sharing pictures and videos on social media platforms. ScaleFT, Packet, and CoreOS have joined together to show developers just how easy this is, allowing them to log into a cloud server as they would with other applications. The organizations launched a sharing server experiment on August 7, International Friends Day, as a way to demonstrate how sharing servers could open up doors for collaboration with friends and other developers. With this experiment, developers are able to share things like projects and computing technology, without additional setup or configuration. All developers need to do is provide a reliable authentication mechanism (like Facebook) and they will have access to a server provided by Packet, which is an infrastructure startup that specializes in container and bare metal hosting. When users log in with Facebook or Google credentials, they have a slick user experience and they understand that the technology is “intelligent and making decisions so it’s secure,” said Jason Luce, CEO of ScaleFt, a cloud native server authentication company. ScaleFT believes that IT needs to look at these consumer experiences when it comes to security. Server authentication needs to be dynamic, secure and easy to use, according to Luce, so when all three are combined “you create democratization around access to compute infrastructure,” which was the point of this experiment. “We’re not suggesting that corporations use Facebook as an identity provider, we just wanted to be provocative to popularize the idea that the user experience for server auth is ripe for change,” said Luce. The experiment originally planned to give developers access to the Packet bare-metal Type-0 server running CoreOS for one week. One day after the launch, Luce said they saw significantly more servers “being kicked and higher usage than we had planned for.” The companies will wait to see where this experiment goes and see if it makes sense to extend the one week initial term. 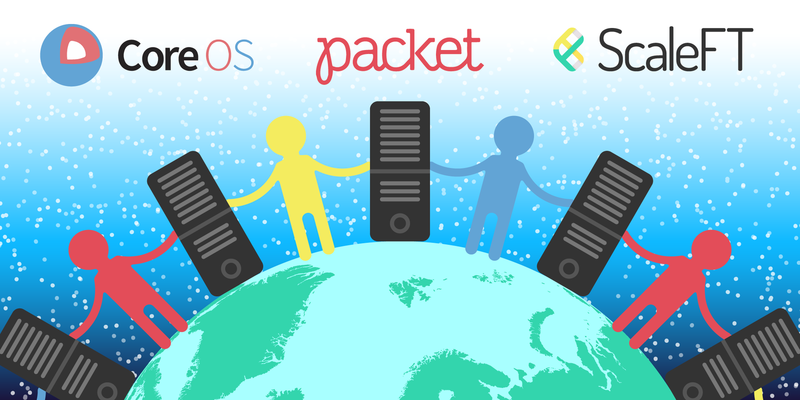 While Packet, ScaleFT and CoreOS are all working together on this experiment, it really starts with Packet’s and ScaleFT’s infrastructure and technology. ScaleFT provides user and access management for servers, just like a programmable Certificate Authority, and it then integrates with a Facebook login to create a Packet bare-metal Type-0 server running CoreOS. Philips said that with the rise in demand to run Internet services, businesses are all becoming software companies. But in order to meet these demands and run at scale, updating software and improving infrastructure is essential, he explained. Overall, this collaboration is an example of bringing together components needed to achieve Google’s Infrastructure for Everyone (GIFEE) throughout the modern infrastructure stack, said Philips. GIFEE is what businesses are adopting, and it’s the way organizations can embrace the demand of being a software company. Developers can get started by using their Facebook login on ScaleFT. Once into the ScaleFT dashboard, developers will have access to a server based on the permissions in the ScaleFT platform.